Whether it be a buffet line or a catering event, hot food can quickly become cold if it is not covered properly. Keep food tasty and warm with this 1/6 size plastic food pan cover from Update International. 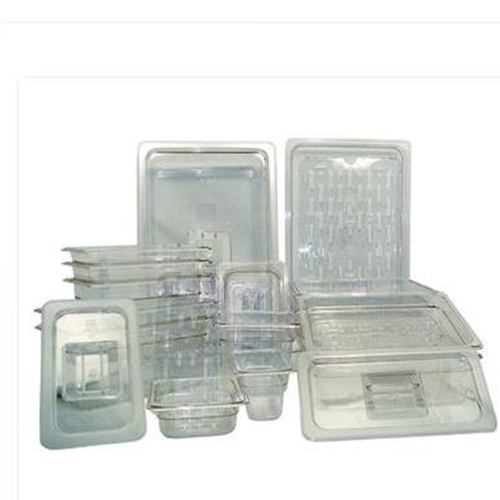 Made from high-quality polycarbonate, this pan cover is excellent for restaurants. Polycarbonate is a fantastic material because it is temperature resistant and impact resistant, insuring longevity and multipurpose use. Constructed on top of the lid, a notched design allows you to keep serving utensils nearby. Food pans are great for an array of different events: weddings, parties, buffets or a business lunch but without a pan cover this useful tool quickly becomes useless. An Update International Food Pan Cover will keep food delicious!